Well, it can be said that I am into jewelry any day, but I've been throwing my creative energy into making necklaces this week. I scooped them all up for a group picture and they look very interesting all massed together. They are all made from bits and bobs of vintage beads, brooches and earrings. I've sorted them all out and listed them in my shop. Lovely! 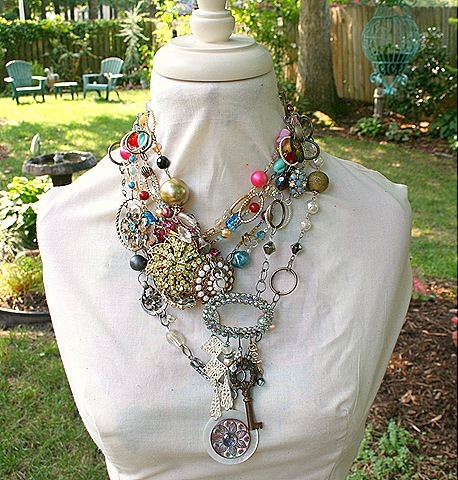 I really like new jewelry made from vintage pieces. So unique! I just fell off my chair!